NirmitiNidraTM as we know it today, concatenates the tools and techniques of NLP, Hypnosis and Meditation. NLP was primarily based on extensive research and a study of three legendary phenomenal personalities, one of whom was Milton Erickson, the father of modern Hypnotherapy. NLP has its roots in hypnosis and hypnosis has its roots in mesmerism, which in turn has its roots in the chakra system. Please read this article in its entirety. It is one of the lengthiest I have penned but every paragraph is interesting or intriguing. You may also like to click on the links embedded in this post, which would provide you with invaluable information, should you be interested. Keep visiting this blog, where I would then connect the chakras to the endocrine system which are primarily responsible for almost everything that you need to function as a human being. It is no coincidence that the bundle of neurons are maximised around the collection of glands that are responsible for your physical, emotional and psychological health. You would have already familiarized yourself with the fundamentals of the chakra system, posted earlier on this site. 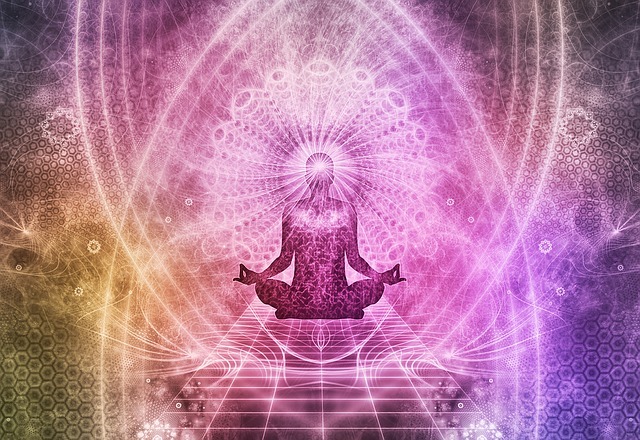 No online chakra test can be exhaustive or even comparable with an expert analysis of a health issue or psychosomatic problem, yet for the benefit of the readers, I shall try to create one in the near future that can give you a fairly reasonable indication of major dysfunctional chakras. Meanwhile, you can always refer to this post which includes affirmations for balancing all the seven major chakras. You must never forget that affirmations are very powerful under Nidra. This is primarily because you access your subconscious mind, which is 30,000 times more powerful than your conscious mind, and program it. Nevertheless, affirmations are known to otherwise effective and the only way you can know is by practising it. Changes will be visible within a month or so. The earliest written account of the Chakras are believed to be part of the Vedas somewhere around 2,000 - 6000 B.C. They are mentioned as psychic centres of consciousness (somewhat akin to the energy vortices as they are called today) in the Yoga Upanishads and in the Yoga Sutras of Patanjali (around 200 B.C.). Whereas chakras are an intricate part of tantric yoga and have been discussed in the Upanishads, it is generally believed that the Buddhist Hevrajya Tantra introduced the hierarchies as we know them today. The seven major chakras attained global fame, but were viewed sceptically until Kirilian photography proved the phenomenon of auras conclusively. Thereafter, there has been immense research, but not as much as one would wish. One of the tools that is bridging the gap between Eastern Mysticism, Quantum Physics and Modern Medicine is Electrophotonic analysis that has been gaining more attention from scientists and researchers from all over the world. Several decades ago, Konstantin Korotkov, Professor of Computer Science and Biophysics at Saint-Petersburg Federal University of Informational Technologies, Mechanics and Optics, developed a scientific device based on the ancient Chinese system of energy meridians. It’s for measuring the bio-energy of living organisms, as well as the environment. The device provides a painless evaluation that can highlight potential health (physiological and psycho-emotional) abnormalities, it’s called the GDV. In the GDV software programs, the glow from the different sectors of the finger images is projected onto the shape of a human body in correspondence with the location of the different organs and systems. It has been approved and received registration as a routine medical diagnostic device by the Russian Ministry of Health upon recommendation of the Russian Academy of Sciences. A case study done by Dr. Pradeep B. Deshpande, a professor emeritus at the Department of Chemical Engineering at the University of Louisville, which had over 100 participants in attendance involved information on meditation, breathing practices, love, kindness and intention. In this case, a healthy and balanced emotional state is correlated with truthfulness, honesty, steadfastness, equanimity, love, compassion, gratitude, the ability to discern truth from falsehood, spontaneous affection, and the capacity to remain calm despite what’s occurring in the external world. An unhealthy and emotionally unbalanced state is correlated with attachment, ego, greed, lying, fear, anger, irritation, sorrow and more. The study, as I understand it, revealed consistent energy patterns amongst the participants in a study of the energy meridians using GDV. Carolyn Myss, author of the book, “Anatomy of the Spirit”, went as far as identifying the diseases associated with specific psycho-spiritual dysfunctions in relation to the seven Chakras. In 2007, Sandra and Mathew Blakeslee published a book called “The Body has a Mind of its Own”. In this book, they traced the history of “body maps” from the time of neuro-scientist Alfred Penfield. The word Yoga, comes from the word “Yuj” which means to yoke or to join. It was originally intended that the practice of yogic exercises would activate or balance the chakras, leading not just to good health and wellbeing, but eventually to a union with the universal intelligence, if practiced consistently. Today, it has become yet another set of exercises, for physical health. Dr. John Ratey’s book “Spark:the revolutionary science of exercise and the brain” links the direct connection of achieving mental fitness through physical exercise. Proving in general that exercising the body affects the mind. Another book by Norman Doidge titled “The Brain Changes Itself” narrates how a woman who was born retarded succeeded in overcoming her disabilities through exercises that involve learning how to read clocks and tracing intricate lines. This woman (Barbara Arrowsmith) became a leader in the study of neuroplasticity or the ability of the brain to change. This proves that the actions of the body changes the wiring of the brain. Yet this has been said before by mystics from the Upanishadic period, 3000 - 4000 years ago. It gave rise to the practice of yoga and the knowledge of the energy centers called the chakras. Today, there is absolutely no doubt that the mind affects the body and vice versa. What is perhaps still doubted is the existence of the chakras. This is what we set out to prove once and for all. There are seven major and around 108 chakras or energy vortices in our body.The energy channels are called Nadis which distribute the energy to the centres. The endocrine glands respond to the energy that they receive from the major energy centres. The chakras are energy processing centers, points of energy flow, and act as the major energy junctions in the energy field. The energetic operations within them are what make every aspect of our bodily, emotional, mental and spiritual life possible. A defect in the energy flow through any given chakra will result not only in a defect in the energy provided to the endocrine glands, but will also affect emotions, mind and spirit in certain specific ways associated with the nature and character of that particular chakra. Defects in a certain chakra will also often affect many other parts of the energy field—they will impair the entire energy field's ability to process energy. This is because the energy field is a holistic entity: every part affects every other part. ALL major energy therapies like Reiki, Pranic Healing, etc., as well as Alternative Therapeutic practices like Acupuncture, Acupressure, etc. work on the above basis. Think about it – ALL of them. They could be different therapies and practices but their foundation is the same. And when you work with your mind, you heal yourself, because the mind has a tremendous impact on your overall health and when you learn to control and program your mind – you can control your health, emotions and wellbeing. As we get towards the end of this article and conclusive scientific proof that this chakra system truly exists and is a vital part of your aura-energy-mind-body, you can obviously relate to the western phrases as a substitute for chakras, nadis, and so on. Science has been exploring bio-electrical pathways for decades. It appears they have finally found a scientific example explains how bioelectrical pulses travel through our body in pathways called “Meridians” (Nadis). Scientists at Seoul National University confirmed the existence of meridians, which they refer to as the “primo-vascular system. (Chakra System)” They say that this system is a crucial part of the cardiovascular system. Did you have a doubt? Analysts have long assumed the primo-vascular system is the physical element of the Acupuncture meridian system. The Korean scientists used research done 50 years ago by Dr. Kim Bong-Han and expanded the experiments by using current electron microscopes. To capture the still-frame pictures, the team used oriental medication with biophysical techniques and injected a special marking dye which colored the meridians. By injecting the dye onto acupuncture points, they managed to see thin lines. These didn’t show up at non-acupuncture point sites where there aren’t any meridians. From their findings, the analysts learned meridian lines aren’t limited to the skin, but are a concrete channel system thru which liquid flows, and this liquid disperses to form stem cells. Adam Hadhazy. “Think Twice : How the Gut’s “Second Brain” Influences Mood and Well Being”. Scientific American, February 12, 2010. Robert Mastone. “The Neuroscience of the Gut”. Scientific American, April 19, 2011. Jakovleva E, Korotkov K., Electrophotonic Analysis in Medicine. GDV Bioelectrography research. 2013.